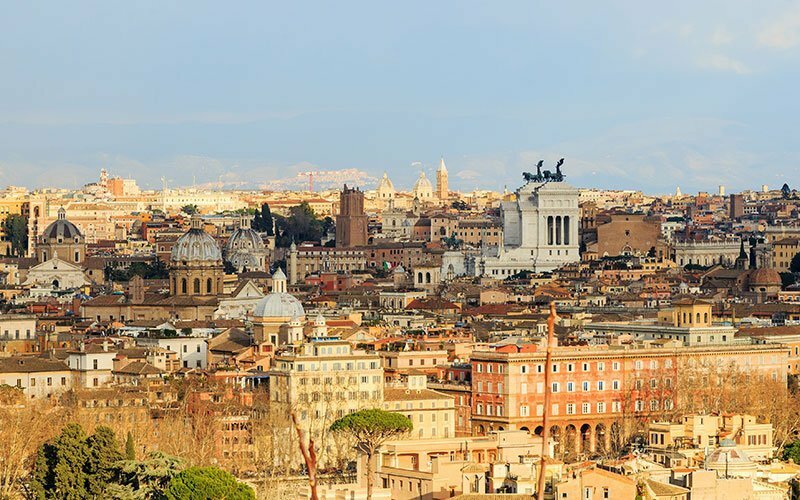 Rome, alias the eternal city, is a magical place that you never stop loving nor discovering. The many monuments, hidden views, ancient buildings, parks, and the infinite attractions and things to do, make it one of the most sought after destinations. 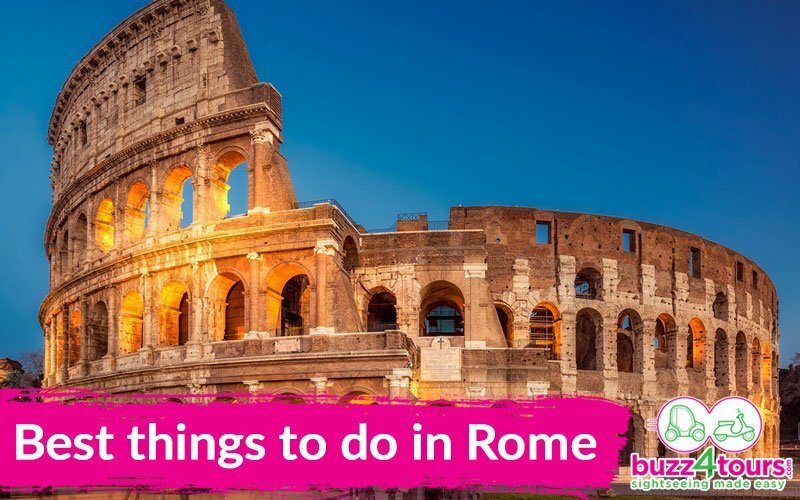 But time available to visit the city is not always plentiful, so the question is: “What shouldn’t I miss?” That’s precisely why we’ve prepared a “Top 15” of Rome’s iconic places. 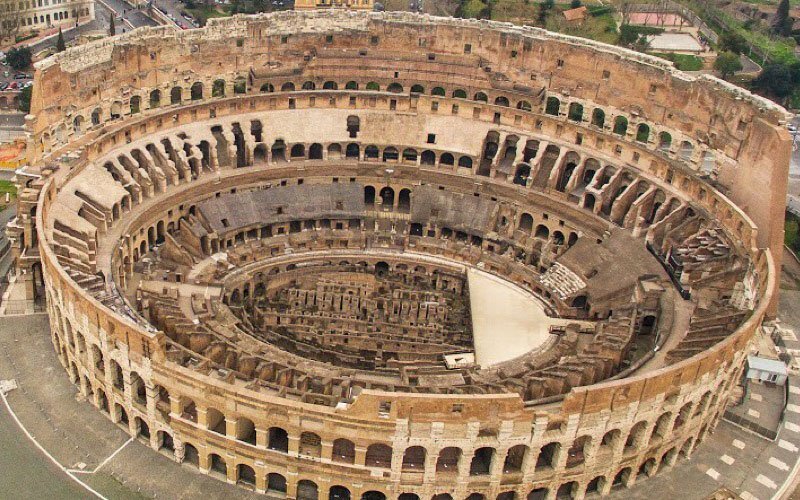 The first absolute must-see is, of course, the Colosseum, the largest amphitheater in the world built by Emperor Vespasiano around 71A.D. Shut your eyes and imagine the crowds cheering during the gladiator fights or gasping at the brutal executions or just marveling at the entertainment. When: Open every day from 08.30 am to 06.15 pm (latest entry) from the last Sunday in March to August 31st. St.Peter’s Basilica is one of the biggest churches in the world. Built between 1506 and 1626 the basilica is the hub of Christianity that pilgrims cannot resist. Its beauty is difficult to put into words but seeing it ‘live’ is breathtaking. Michelangelo’s dome and Bernini’s embracing colonnade, add to the spectacle. You will find the most beautiful works of art by the most famous painters and sculptors inside the museum. Pope Julian II started off with his private collection before this grew to be one of the greatest in the world. 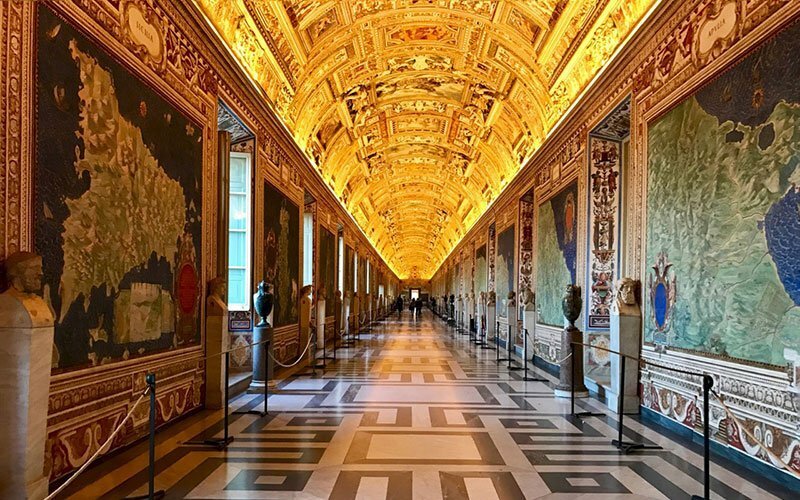 The Sistine Chapel is, of course, the most important work of art of them all, not only famous for Michelangelo’s genius but also for being the place where the Conclave meets to elect a new Pope. 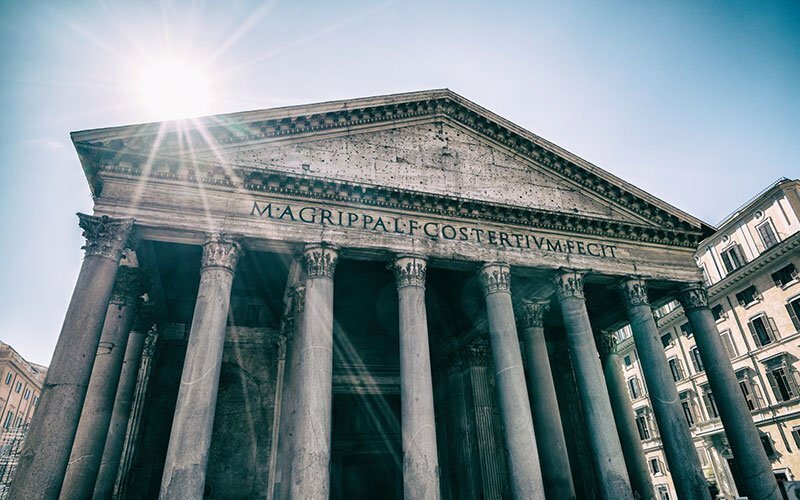 The Pantheon is one of the most important examples of Roman Architecture featuring the Oculus, a 9 meter opening at the apex of its dome, providing the only source of light. Members of the Italian royal family were buried here as was Raphael the famous Renaissance painter and sculptor. The Gianicolo, or Janiculum if you prefer, is a must if you would like to admire Rome from a hill-top. A beautiful view unfolds below you as you single out some of the Eternal City’s landmarks. Canon fire goes off at noon and has been doing so, off and on, since 1847. The monument of Giuseppe Garibaldi who was instrumental to the unification of Italy stands high in the middle of the square. 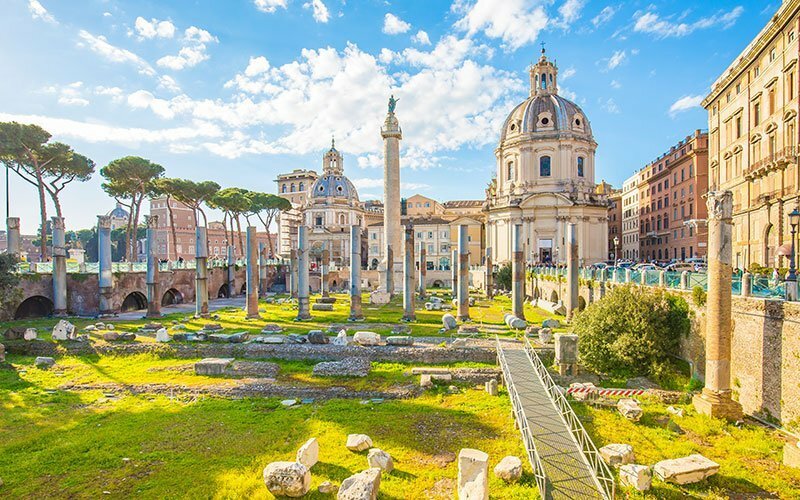 The Roman Forum was a political, religious and financial center. It represented the very definition of the true Piazza which it continued to be right up to the end of Republican life. It provides an extraordinary setting to over 3000 years of history. The oval shape is a bit of a “give away” so you won’t find it hard to believe that in Roman times the Piazza used to host Athletics events. When it was built, a mere 1900 years ago, it was known as the Domitian Stadium holding some 30,000 people. 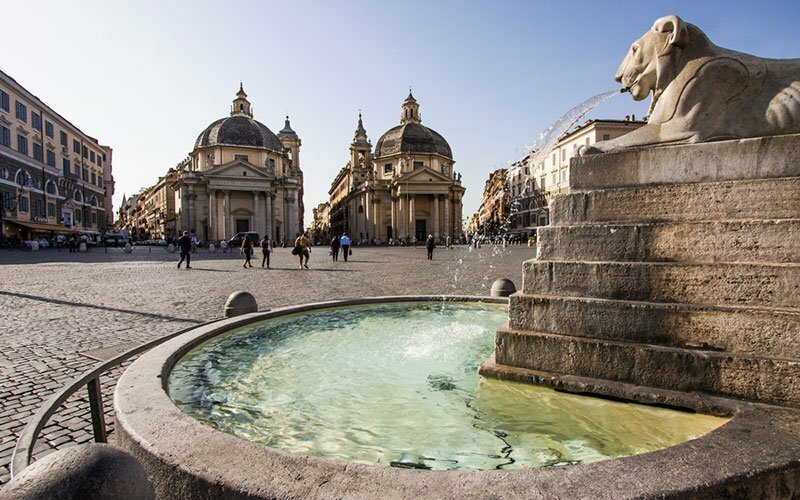 The Fountain of the Four Rivers in the center of the piazza, designed by Gian Lorenzo Bernini, is a masterpiece to be admired at length. It’s a small wonder that this is one of the most frequented places in Rome with its bars and restaurants to help tourists and locals alike, soak in the unique atmosphere. Rome is so big that seeing it all on foot would take an enormous amount of time let alone the “physique du role”. 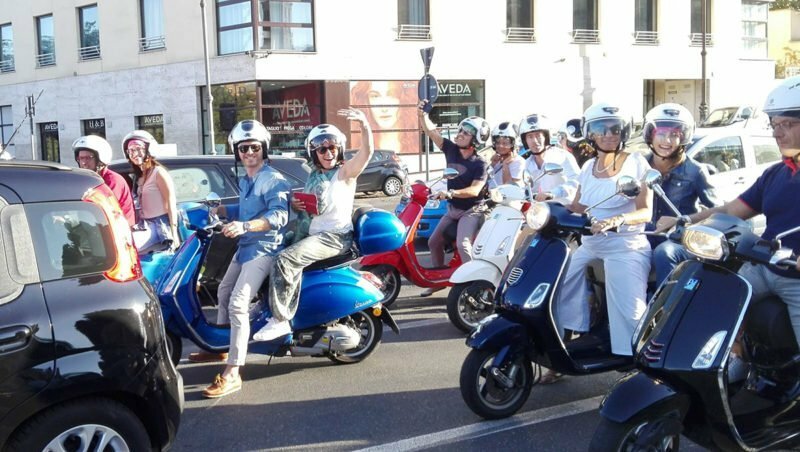 Moving about on a Vespa is certainly a unique experience which you should try not only to fully appreciate the marvels of the city but also to enjoy your breaks further away from the “madding crowds”. Warning: you need to have good driving skills! 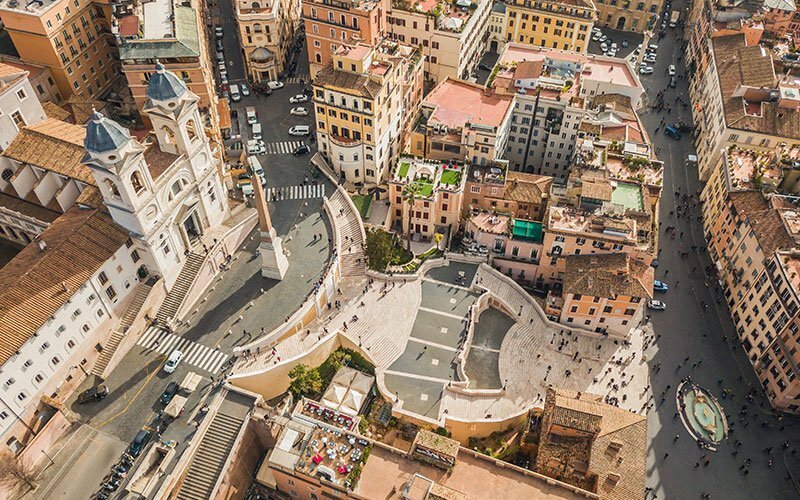 The Spanish Steps run from the Church of Trinità dei Monti, down to Piazza di Spagna stopping short of the “Barcaccia” a fountain started by Giovanni Bernini and finished by his rather more famous son Gian Lorenzo. A number of well-known streets converge into the Piazza starting with Via dei Condotti where some of the “Big Name” shops await to test the limits of your credit card. The Piazza has provided the background to a great number of films including the legendary “Roman Holiday” with the delightful Audrey Hepburn and a rather cool Gregory Peck. 11. Piazza del Popolo…more drinks! 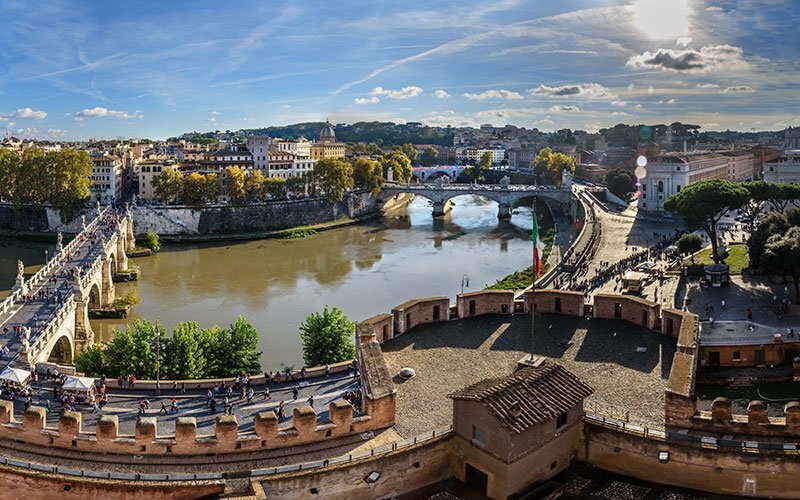 You will be surprised to hear that Castel Sant’Angelo (Castle of the Holy Angel) takes its name from Arcangel Gabriel whose statue sits at the top. There are five floors to the castle each connected by a spiral staircase. 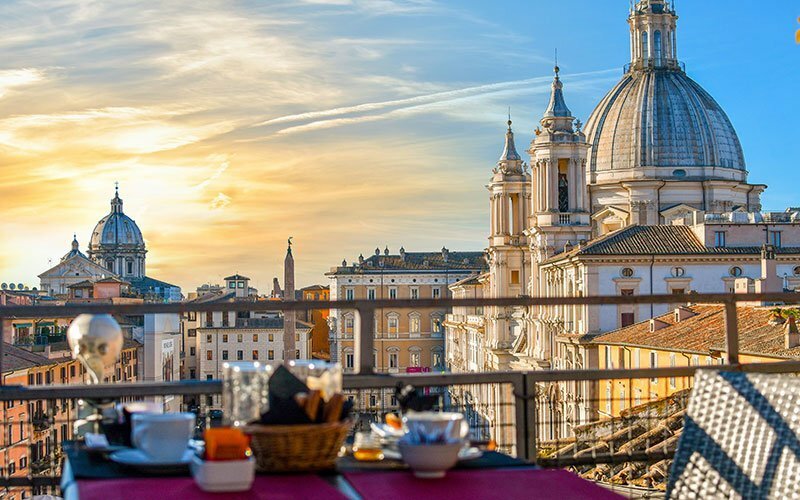 In fact, by the time you get to the “roof terrace” you are likely to feel pretty dizzy, the drinks you had in Piazza Navona and Piazza del Popolo probably won’t help either. Anyway, if you can focus, from up here you will be able to admire a wonderful view of the city. 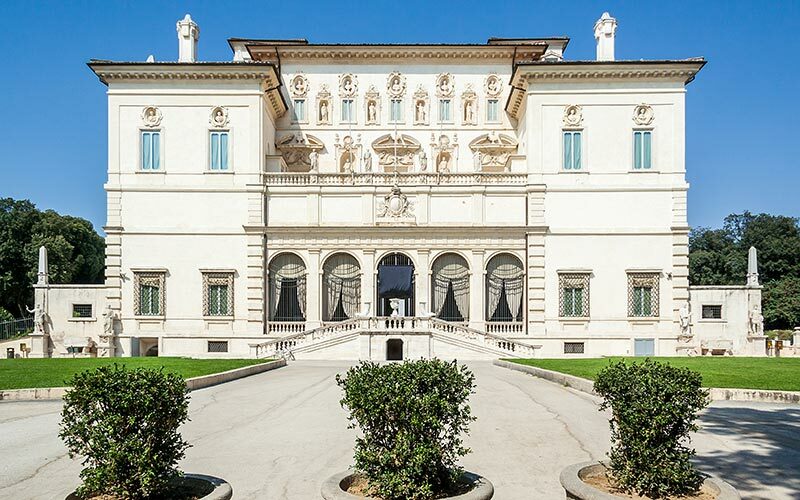 Villa Borghese is defined as the “green heart” of Rome. The park is a mix of history and everyday life with its ponds, benches, a water clock but also The Borghese Gallery Museum representing one of the more important art museums of the city thanks to work by Bernini, Canova, Raphael, Titian, and the Caravaggio. 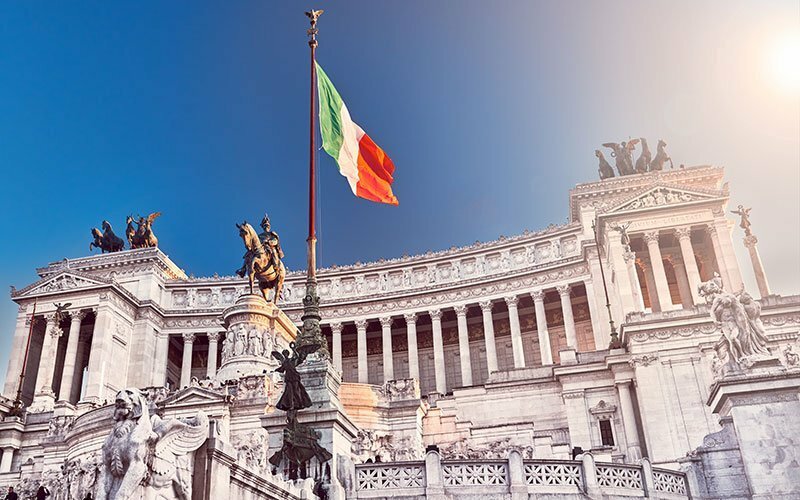 Located in Piazza Venezia the Vittoriano (aka the Typewriter or the Wedding Cake) is one of the most visible and prominent of Italy’s capital. 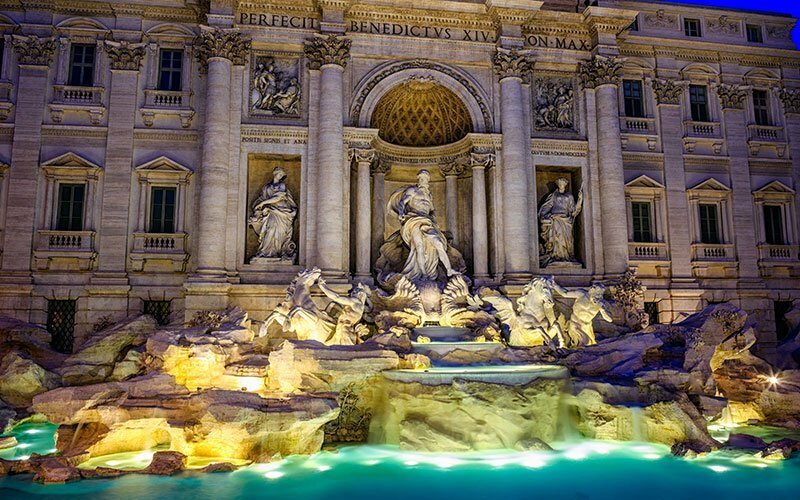 It was built in honor of King Victor Emanuel II, the founder of the Unification of Italy. Once inside, you should visit the Sacrario delle Bandiere the Shrine of the Flags, the Renaissance Museum, and the Emigration Museum. The Quirinale Palace built in 1953 is now home to the President of the Italian Republic. In the past, it had been the Royal and also Papal residence. Every day at 03.00 pm you may enjoy the Changing of the Guard ceremony. 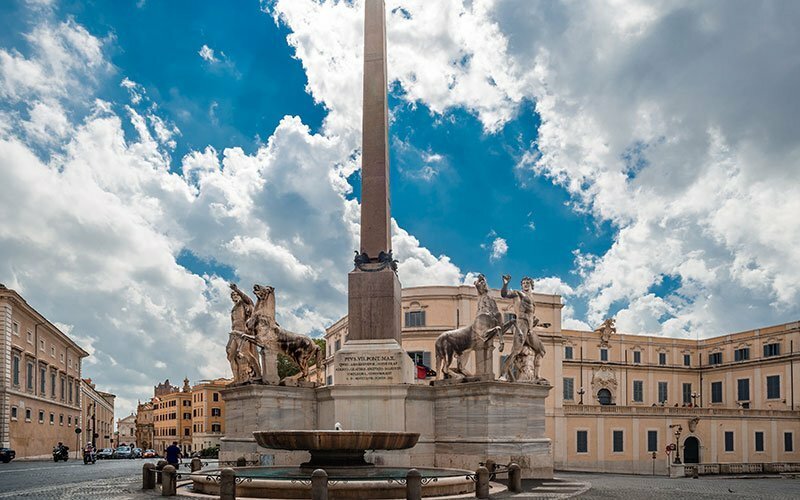 After all the sightseeing, the delicious carbonara pasta, the gorgeous gelatos sitting on the Spanish Steps and having relaxed on the green grass of Villa Borghese it’s now time to pack and go home, your Roman Holiday over! 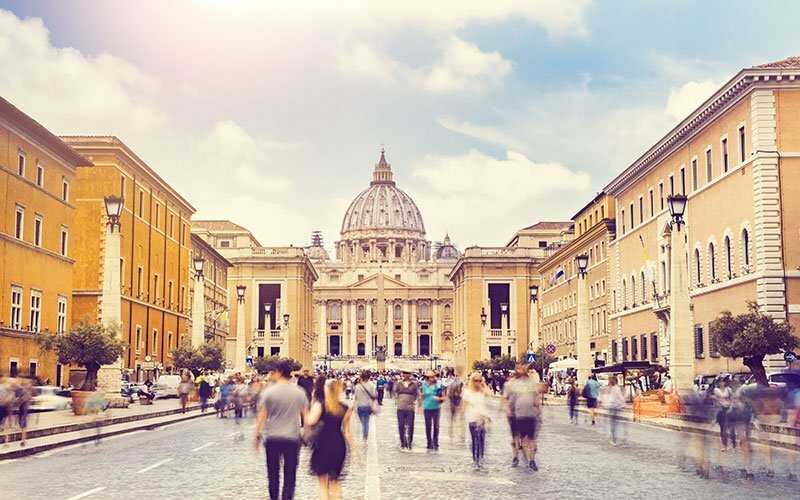 Enriched by the experience, culture, and emotions but already with the same nostalgic look in your eyes of those that can’t wait to come back to the Eternal City.